In this video will explore a stock dividend strategy. Low volatility dividend stocks can produce returns that far exceed the returns of most growth stocks and market sectors with less risk. The price chart below displays the price movement for NiSource, a gas utility company. NiSource has a long history of increasing their dividend payout. Dividend growth is a reliable forecaster of future earnings growth and the financial health of a company. 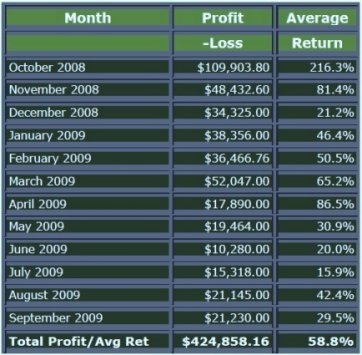 NiSource has produced a 253% return over the past 10 years far exceeding the 94% return for the S&P 500 Index over the same time period. This profit out performance for NiSource was achieved with a lot less risk and volatility. In this week's video we will look at Master Limited Partnerships (MLPs) Strategy. MLPs provide investors with attractive yields due to their special tax treatment and are an income investors dream come true. By law MLPs pay their profits directly to the their shareholders also called unit holders. MLPs pay much bigger dividends than other dividend paying stocks because they pay no tax and pay out their profits directly to the unit holders. Due to their favorable tax treatment MLPs are ideal for the income or retirement investor. There are dozens of MLPs that have been delivering dependable returns to investors for many years. There is also a special tax benefit with MLP dividends which are called distributions. The IRS generally considers 80%-90% of MLP distribution a return of capital which means investors can defer taxes on their gains for years and years until they sell their units. MLPs are able to sidestep the IRS and pass their earnings directly to their investors. In this video learn how a portfolio of MLPs produced an average return of 1,865% versus 47% for S&P 500 Index over the past fifteen years. In the following video, we will learn how a portfolio of REITs produced an average return of 1,169% versus 47% for S&P 500 Index over the past fifteen years. Real Estate Investment Trust (REITs) have consistently out-performed the S&P Index over the past 40 years. REITs do not pay any income taxes. REITs provide investors with attractive yields due to their special tax treatment. By law REITs pay their profits directly to their shareholders REITs pay much bigger dividends that other dividend paying stocks because they pay no tax. Due to their favorable tax treatment REITs are ideal for the income or retirement investor. There are dozens of REITs that have been delivering dependable returns to investors for many years. Over the past four years, we have experienced a global financial meltdown, severe recession and bear market, high unemployment, increased market volatility and an uncertain economy. This financial turmoil has made it very difficult for the average investor to realize a consistent return on investment. Investing in companies that consistently raise their dividends is one of the best overall investing strategies. Chuck has found the dividend growth rate to be a very reliable forecaster of future earnings growth and the financial health of a company. Chuck likes to reinvest cash dividends in additional shares of stock which enable him to compound his returns. Learn how this low-risk strategy has produced an average return of 81.4% despite the difficult market conditions. Chuck Hughes' Dividend Portfolio experiences less volatility during market declines due to the high yield the portfolio produces. Most of the stocks in the Dividend Portfolio are Master Limited Partnerships (MLPs) and Real Estate Investment Trusts (REITs). MLPs and REITs do not pay any income taxes and provide investors with attractive yields due to their special tax treatment. MLPs and REITs pay much bigger dividends than other dividend paying stocks because they pay no tax. This has allowed MLPs and REITs to out-perform the broad stock by a wide margin over the past 10 years. One of Chuck's favorite strategies for profiting in volatile markets is purchasing dividend paying stocks and put options for downside protection. The dividends received can help pay for the cost of the put option. In many cases the dividends received can pay up to 70 to 80% of the cost of the put option resulting in a very low-risk trade. The married put calculator below displays the profit potential for an Annaly Capital married put trade I recommended recently. In this video learn how this trade produces a 69% profit if Annaly stock price remains flat or even in the unlikely event it declines 50% at option expiration. I have found the dividend growth rate to be a very reliable forecaster of future earnings growth and the financial health of a company. Dividends are paid in cash and are not just figures on a balance sheet that can be manipulated. Corporate directors normally will only raise dividends if they believe that future earnings will be able to sustain higher dividend payouts. I like to reinvest cash dividends in additional shares of stock which enables me to compound my returns. I recently purchased 4,000 shares of a Real Estate Investment Trust at 28.56 with a total cost of $114,248 after commission. This REIT pays a $5.60 annual dividend which provides a 19.6% yield on my 28.56 purchase price. The table below displays the annual income and yield for my REIT stock purchase when dividends are reinvested. Results assume there is no price change in this REIT stock and the company does not raise its dividend and continues to pay a 5.60 annual dividend.